When the sun is finally out the terror, for some, begins. Those who suffer from a phobia of wasps (spheksophobia) can find themselves staying indoors during the fine weather, avoiding and missing out on social occasions and all the fun involved, for fear that wasps will make an appearance. The Summer, for such people, can be an utterly miserable time. The good news is that hypnotherapy could help you. I’ve already used hypnotherapy in Reading, Wallingford, Holborn, Thame and Oxford in order to help people prepare for the wasp-ridden Summer days ahead. You could be next! Why do some people fear wasps? A healthy respect for wasps is a good thing. They can be rather aggressive and they do, after all, sting. They’re also known for having a quick temper, fly in a rather unpredictable manner and are less reluctant to sting than their more fondly regarded cousins – the bees. Did you ‘catch’ it from a parent? Often this phobia can be learned from others. Women seem particularly prone to this phobia and mothers can quickly teach it to their children. Mirror neurons in the brain cause us to learn from others by copying their actions and ‘catching’ their emotions. This process is particularly strong in children and the sight of a parent fleeing in fear from a wasp will have a powerful impact upon a young child. Children and wasps are also both attracted to the same sugary foods which are eaten outside in the Summer – just that time of year when wasps make their appearance. Adults learn to keep an eye out for wasps and so avoid unfortunate encounters. Children, however, are not as experienced and the clumsy brushing away of a wasp (or the careless swig from a drink or bite of an apple) can result in a powerful sting which works well in inducing a future phobia. So, a healthy respect for wasps and their stings is a healthy thing. Still, a phobia of wasps can develop to the extent that beautiful summer days are ruined or even avoided altogether. So, don’t let your fear grow to extremes, it can be resolved. Hypnotherapy for the the phobia of wasps could help you to relax in their company and to enjoy the pleasures of a fine Summer afternoon. How does hypnotherapy work with a phobia of wasps? In the early days of human history we didn’t have the time to sit around reasoning out what it is we should fear and what we could deem safe. Survival depends upon lightning-quick responses and so our minds learn fear very fast indeed. This isn’t a conscious process, it’s entirely unconscious. What is learned can be unlearned. The unconscious mind learned how to fear wasps and to evoke the fight-or-flight response. The unconscious mind can learn to let go of that fear. Hypnotherapy may involve taking you back to that first wasp-related experience which prompted the fear. Don’t worry, you won;t re-experience that fear. You can learn to see that memory through different eyes and when you do, the fear is destroyed. Hypnotherapy can also help you to overlay images and wasp-related scenarios with that confident feeling you experience elsewhere in your life. 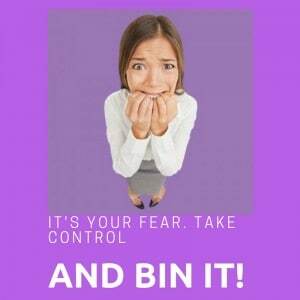 It can help you to take control of your fear and destroy it. Imagination created this fear. Imagination can put it to rest, for good. If you live in or near Reading, Oxford, Thame or Wallingford and would like to learn more of how hypnotherapy could help overcome a phobia then please contact me. You could call on 07786 123736 / 01865 600970 / 01183 280284, email me at paul@resolvedhypnotherapy.co.uk or use the contact form below.